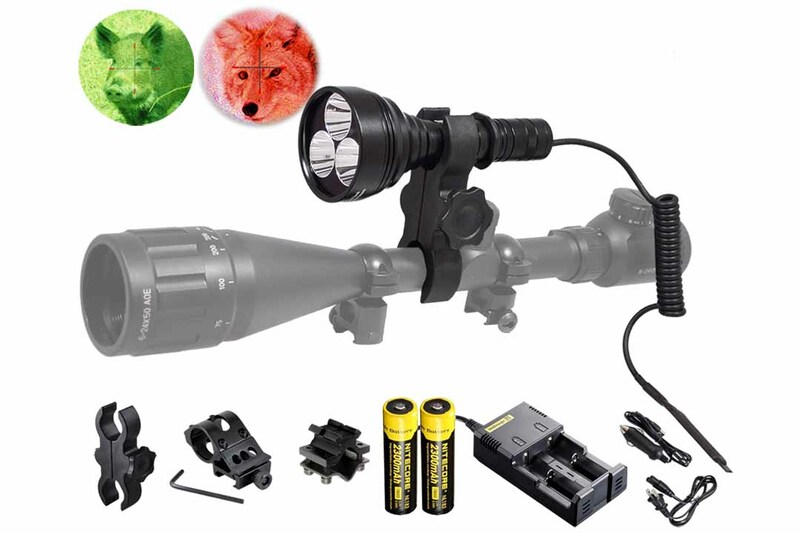 At 700 lumens, the Orion M30C is the brighest predator light available. 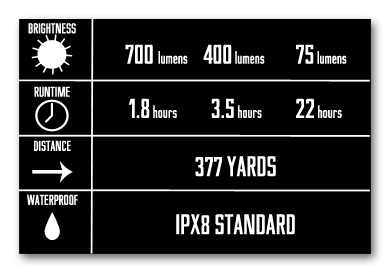 Each light is quipped with three CREE XP-E2 color LEDs. Choose between red or green for 100% pure light with no loss from filtering. Dimension: length 6", head diameter 2.6", body diameter 1"
2x Nitecore 2300mAh 18650 + Nitecore i2 Charger- two Nitecore 2300mAh rechargeable batteries and a two channel smart charger. This product listing offers you an a la carte selection based your individual needs. We also offer a complete package with batteries, charger and various mounting accessories. I'm very pleased with the performance of this light. Very bright and easy to acquire your target. 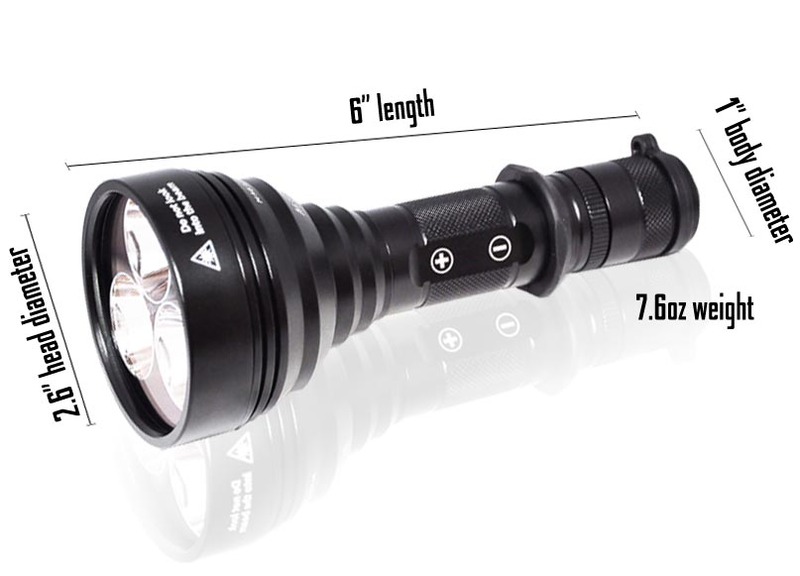 Very bright light, great durability, and very easy to use. This light reflects eyes very well past 350 yard. LOVE THIS LIGHT! Only thing i dislike is the battery doesnt last long. Very clear to use at night. All my friends are gonna get one now!